This plugin has 8 predefined elements and 7 row elements for creating email template. When you click any element in the canvas, at the left menu you will see settings according to selected element. 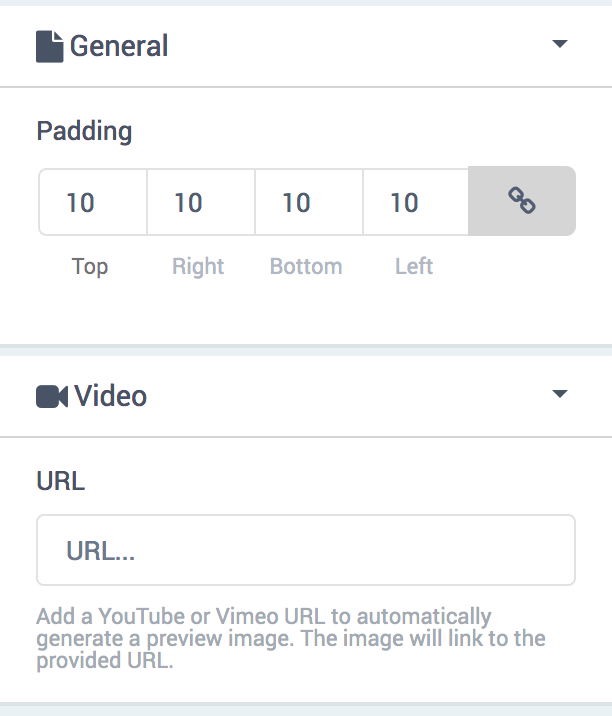 At the below image you can see the settings of video element. When you start editing text element, you can add short code for dynamic information of order and product.